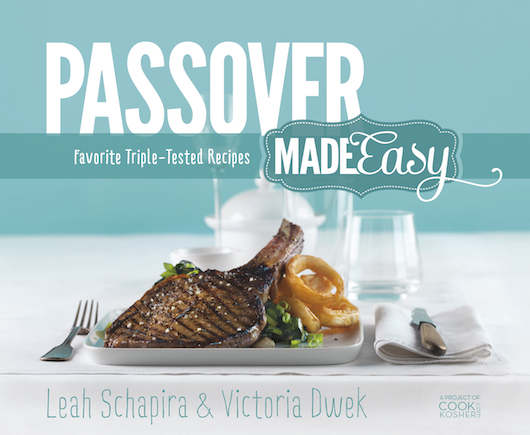 While I am way behind with the Passover program, I wished to introduce you to a fun, user friendly Passover Made Easy cookbook, courtesy of Leah Schapira, one of the co-authors of the cookbook. We are yet to decide where we will having the Seder dinner. S is away on a volunteer spring break program, arriving back in the US, a week prior to Passover which falls later this March, at which time we will probably decide how we are spending it. I am also still indulging in leavened bread postings, but for those of you that are well ahead with your Passover preparation to eradicate any 'chametz', here is a great kosher for Passover morning, basic gluten free crepes recipe. Breads, morning pastries, pancakes and desserts are the most challenging for me when I am planning my Passover holiday meal. That explains my past postings of Ricotta Meyer Lemon Coin Pancakes, Flourless Fudgy Chocolate Coconut Cookies, Coconut Panna Cotta and Minneola Tangelo Gelee and Peanut Apple Passover Cake, among other Passover breakfast and dessert recipes. Luckily, unlike Ashkenazi Jews, we do eat rice, legumes and beans during the holiday, which makes planning a menu that much more flexible. Passover Made Easy is full of tips, serving/pairing suggestions and whimsy. Sixty super easy recipes that will make for an elegant dinner on a fly. A light paperback you can easily haul into the kitchen, versus some encyclopedia types I tend to collect that are hard to manipulate and never see the kitchen counter. starch, water, and salt. Blend until smooth. 2. Lightly grease a crepe pan or skillet. Heat over medium-high heat. re-greasing pan as necessary. Stack crepes as they are completed. Can be served with a chocolate or a berry sauce or just with powdered sugar or maple syrup, the way I like it. Me neither. I thought this was brilliant! My mother uses this exact crepe recipe to make noodles for her chicken soup on Passover. They are everyone's favorite at our Seder. What my mom does is layer the crepes in stacks of 5 or more, rolls them tightly and slices them thinly. Have you ever used the recipe this way yourself? Judi, that's exactly how we eat ours! We also make potato blintzes out it, brisket eggrolls, vegetable eggrolls and even noodle kugel. I know, right?! So happy you get to share it with your GF sister. Add some sugar to the batter for a sweeter crepe. They look lovely and light! Your crepes look lovely, it's been far too long since I've made them! I feel you. I haven't been consistent recently with my straight forward crepe recipe. I used to make them every Sunday. I need delicious crepes like this in my life. Me too. I wish someone would make them for me. These look wonderful... what a creative idea! I think gluten-free cooking has made for some more interesting passover dishes. I'll need to pick up this book for my mom. I think she'll enjoy it. These are gorgeous! I love crepes, and I can't believe they can be made gluten free... This book needs to make it here, asap! I know, right, Kate?! Was pleasant surprise for me as well. The crepes look delicious and I haven't tried them gluten free! First for me as well, Katerina! Crepes on Passover- what a wonderful idea! I am curious to try these with the potato starch. My mom makes the lighted crepes and now maybe I'll have to surprise her with a batch of these. So perfect for Passover.